April 4, 2015 — 8:30A.M. Get ready for our 6th Annual Trail Fun Run. 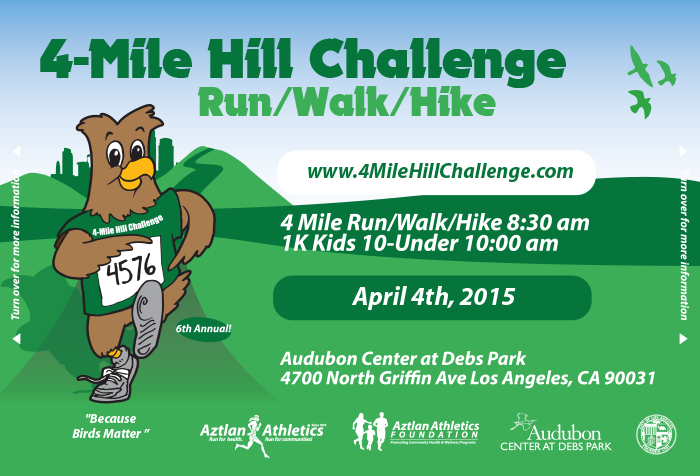 Challenge yourself with a 4-Mile hill run together with over 500+ runners taking the challenge. 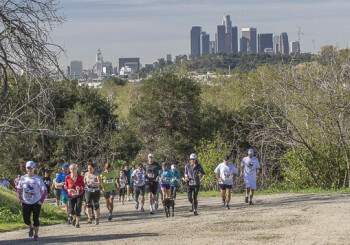 Be part of this event and treat yourself to a spectacular view of the Greater Los Angeles basin as you run along the course. At the finish, you’ll find the beautiful and eco-friendly Audubon Center with some great food, drinks, and music. All runners will receive a goodie bag and receive a commerative medal. Awards will be given to the top 1st place winner in each age division.